Sometimes, when the mood takes me or when I'm totally lacking inspiration on a library hunt, I turn towards the classics. I tend to have mixed feelings when it comes to Literature. Usually the books are at least ok, but... Let the scholars coo in veneration as much as they want, I still think that some examples of international literary canon are completely unreadable (Ulysses inevitably springs to mind). Consequently, I approached Gulliver's Travels with caution. I had just read somewhere (Nadine Gordimer? Not sure...) that Swift's satire still remains one of the most entertaining books despite the centuries since its publication, but was the recommendation trustworthy? To somehow quantify my enjoyment, let me tell you this: Gulliver's Travels was more fun than pirate stories from the previous post. Feel free to draw your own conclusions. Some of Swift's suggestions, disguised as laws and traditions of his imaginary countries, are worth attention. Imagine a world where public offices are distributed according to moral virtue of candidates (as in Lilliput), not their supposed ability. What's wrong with ability? Even if it does actually exist*, it can only lead to greater damages when applied to unethical purposes. In other words, making sure that a potential manager does not steal is a better policy than confirming that the thief you want to employ is a very skillful thief. Or how about a public reward and punishment system (Lilliput again)? As Swift shrewdly noticed, we are very good with the 'punishment' part, but when was the last time when you were tangibly rewarded for being an upstanding citizen? 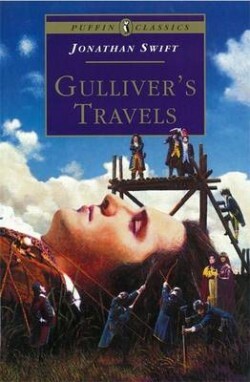 Yes, Gulliver's stories are good, but his caustic social criticism is better. Do politicians read classics, I wonder?